This year, Dr. Grace Wang, medical director at International Community Health Services, is running for Vice Speaker of the House on the Executive Committee Office of the NACHC Board of Directors. 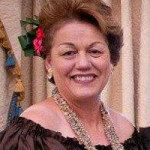 Ginger Fuata, board member at Waianae Coast Comprehensive Health Center, is also running for the Health Center Board Member Representative to the NACHC Board of Directors. We encourage all AAPCHO members to vote for Dr. Wang and Ms. Fuata to ensure that there is a continued and strong Asian American, Native Hawaiian and Pacific Islander representation on NACHC’s Board. Vote for Dr. Wang and Ms. Fuata during the House of Delegates meeting on Sunday, August 23rd. If you are unable to attend the House of Delegates Meeting, you can vote by proxy. To learn more about voting by proxy and for a sample proxy letter template, click here. I am a family physician and the Chief Medical Officer at International Community Health Services in Seattle, Washington. I am near the end of my first term as the Vice-Speaker of the House and I am grateful for the opportunity to seek a second term. For over 25 years, the community health center movement has been my professional home and in my day to day practice I have experienced the real value of NACHC’s priority focus on advocacy, clinical quality and operational excellence. Successful passage of H.R. 2 earlier this year is further evidence of the vital role NACHC has in the health and well-being of the communities we serve. As a candidate seeking re-election to the Executive Committee during NACHC’s 50th Anniversary year, I have also had the opportunity to reflect on the social justice roots of the community health center movement and to affirm my personal commitment to this effort. Thank you for the privilege and joy of service as the Vice-Speaker of the House. I am running for the office of Health Center Board Member Representative to the NACHC Board as a Consumer Board Representative. It is my belief, consumer engagement is important for the success of all models of health care delivery, and most importantly, patient care. As consumers, we need to continue to share dialogue on improving communication and responding to community needs to generate information and resources needed to coordinate the patient-centered care needed to improve health and quality of life for consumers. Human trafficking involves the illegal trade of people for exploitation or commercial gain. Every year, millions of men, women, and children are trafficked in countries around the world, including the United States. Human trafficking is a hidden crime, and victims rarely come forward to seek help because of language barriers, fear of the traffickers, and/or fear of law enforcement. Victims of trafficking and sexual exploitation experience significant health impacts, including violence, substance abuse, mental illness, sexually transmitted diseases, and unintended pregnancy. This session will demonstrate that primary care providers play a critical role in prevention, intervention, and trauma-informed care in response to a problem that has severe long-term physical and mental health consequences. Hear from health centers that have developed strategies and models to identify and engage at-risk populations, including children and adolescents, as they transition across the continuum of outpatient and inpatient treatment settings in order to address their emotional, physical, and behavioral health needs. Describe one tool to identify children and adolescents at-risk for commercial sexual exploitation. Describe one strategy to engage individuals who are victims of human trafficking. Isha Weerasinghe, MSc, Senior Policy Analyst, AAPCHO – Washington, D.C.
We are at a transformative point in which data is king, healthcare providers are paid for achieving outcomes and health equity is lagging. This session will provide an overview of a data warehouse and highlight CHC examples leveraging data to support quality improvement and address health disparities. Suma Nair, MS, RD, Director, Office of Quality Improvement, Bureau of Primary Health Care Washington, D.C. The importance of providing services to mitigate the socioeconomic causes of poor health will grow under added pressures of reaching population quality targets and lowering total health care spending. 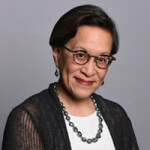 NACHC, the Association of Asian Pacific Community Health Organizations, the Oregon Primary Care Association, and the Institute for Alternative Futures are leading a national effort to develop, pilot test, and disseminate a national standardized patient risk assessment protocol designed to help health centers assess and address patients’ social risk factors. This session will discuss the importance of social determinants of health (SDH) data collection and implementing a standardized data collection protocol. Participants will learn about the process by which it is being implemented in multiple Electronic Health Records, how staff can be successfully engaged in data collection efforts, how best to link SDH data with enabling services data to provide context, and what health centers are learning so far about the context in which their patients live and how that affects their health. This session will also discuss how health centers can prepare to collect and use patient SDH data to demonstrate value, inform payment reform efforts, and transform care with examples from Iowa, New York, and Oregon. Recognize the clinical, operational, and financial benefits of having data on patients’ social risks. Outline how health centers can be ready to collect and respond to patient-level data on the social determinants. Apply best practices and lessons learned to implement a systematic approach for collecting data on patient social risk. Michelle Proser, Director of Research, National Association of Community Health Centers – Washington, D.C.